* Based on benchtop data on file. Less than 0.25 mm increase in diameter (diameter expansion) demonstrated by a simulated 10 year period at physiologic portal pressures. ** Labeled diameter range is between 8–10 mm. Based on GORE® VIATORR® TIPS Endoprosthesis: Bureau C, Pagan JCG, Layrargues GP, et al. 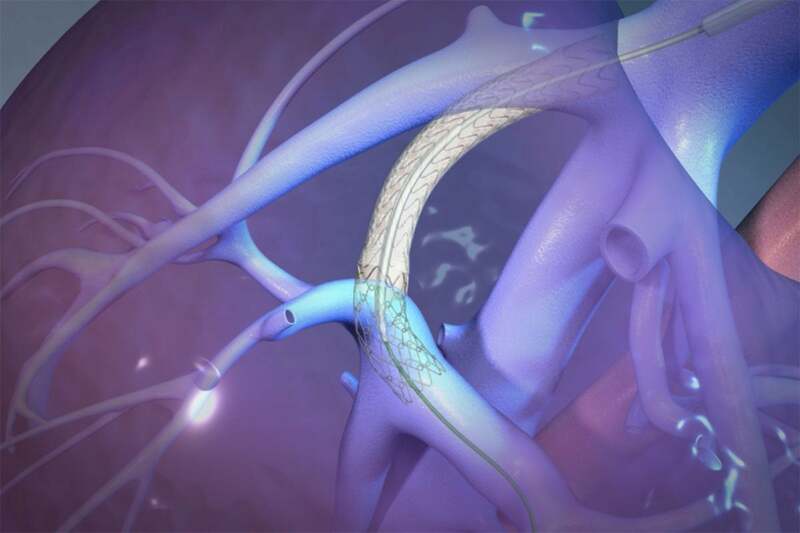 Patency of stents covered with polytetrafluoroethylene in patients treated by transjugular intrahepatic portosystemic shunts: long term results of a randomized multicentre study. Liver International 2007;27(6):742-747.